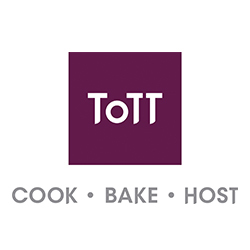 ToTT Store is the largest kitchenware and tableware retail store in Asia. A one-stop culinary haven for anyone who cooks, bakes or hosts, its 36,000sqft ToTT @ Dunearn flagship carries exclusive cooking, baking and hosting-related merchandise and comprises of a Bistro, state-of-the-art demo and hands-on cooking studio for cooking classes and private events and a Bake&Go counter. On 9 June 2015, ToTT Store opened its second store. Centrally located at Suntec City, ToTT Store’s 4,800sqft second store, houses a kitchenware retail space with a curated selection of quality brands such as Jamie Oliver, Cuisinart and Magisso. Like the flagship, ToTT @ Suntec also offers cooking and baking classes at its open concept cooking studio which can accommodate up to 12 participants. Providing a seamless shopping experience, shoppers can also shop online at www.ToTTStore.com with over 2,000 products, exclusive deals and delivery for ease of shopping.